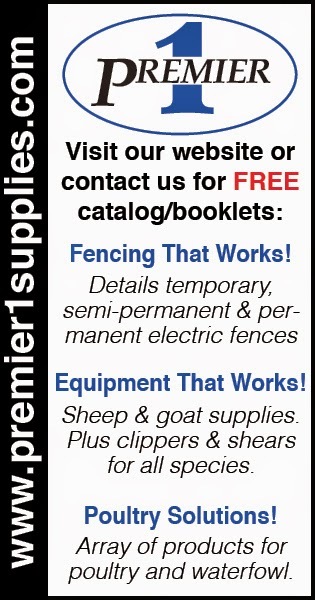 We are excited to announce that our first sponsor for the Mid-America Homesteading Conference is Premier1 Supplies, a company made famous for its innovative livestock fencing. You may have noticed that the conference had no corporate sponsors the first two years. That meant that all costs had to be covered by registration fees. It worked, and we put on some nice events, but in order to grow a little without increasing costs to participants, we knew we had to reach out and get corporate sponsors. But we wanted to get sponsors that made high quality products that were truly of interest to our attendees -- and that's why Premier1 was the first company that I asked to become a sponsor. I've been using Premier's fencing for years. 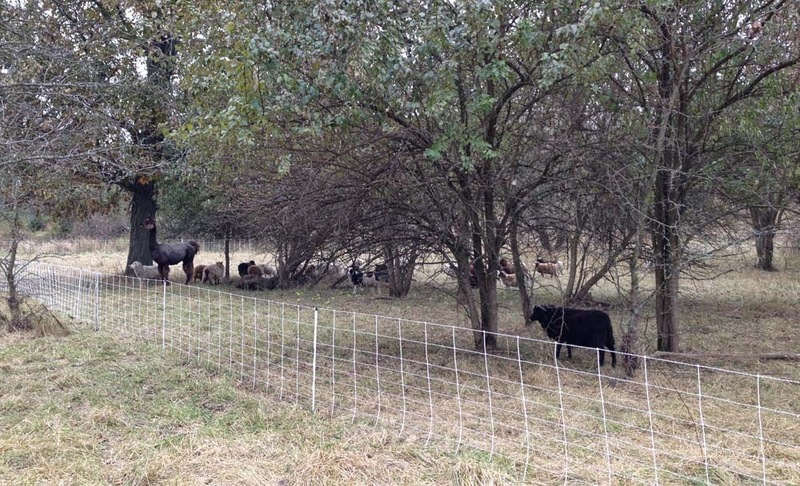 We originally bought three rolls of their ElectroNet to use for rotational grazing of our sheep and goats, and within no time we realized we needed more. Today we have ten full rolls of the ElectroNet and one half roll, and sometimes we find ourselves wishing we had a couple more rolls. I am also happy to say that those rolls that we bought seven or eight years ago are still working great. In fact, we can't tell which rolls of fencing are the oldest. Pasture rotation is a very important key in keeping internal parasite from becoming a problem for our sheep and goats, and the portable electric fencing is the key to rotational grazing without the need to put up permanent fencing everywhere. It also allows us to use our hayfield for rotational grazing. Obviously if we put up permanent fences across the hayfield we would never be able to easily harvest hay again. We also use the ElectroNet to move sheep from their remote pastures to the barn every year for shearing. 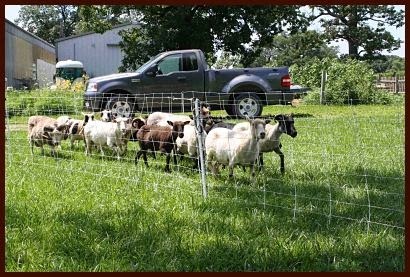 Because we don't have a trained herding dog, we use the temporary fencing to create lanes across our yard or through the pastures to drive them wherever they need to go. We also have two fence chargers from Premier -- one that is plugged into the wall in our barn and another charger that is solar powered that can be used for electrifying fences in remote areas of our farm that are not accessible by electricity. One of my best experiences with Premier happened when I called to order my first fence charger from them. After reading the catalog thoroughly -- and they have a LOT of different chargers to meet the needs of farmers, ranchers, and homesteaders in diverse situations -- I thought I knew which charger I needed. However, the salesperson at Premier asked me a few questions about what type of livestock we owned and where we lived, and he recommended a charger that cost $100 less than the one I thought we needed! 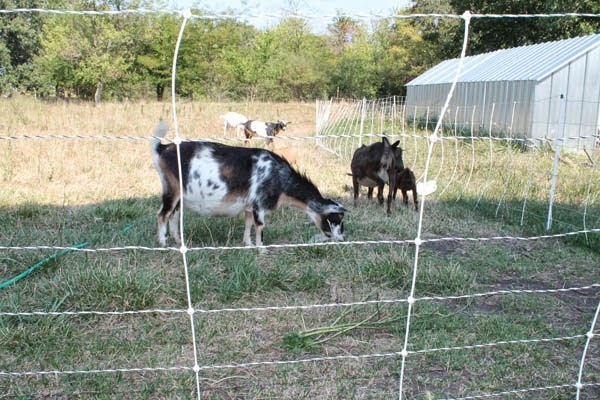 That experience gave me the confidence to recommend them to everyone I talk to about fencing for sheep, goats, pigs, poultry, and cattle, whether I am talking to someone who is buying one of my goats or whether I am speaking at a conference. If you have ever dreamed of living off the grid, you won't want to miss Victoria Miller's sessions at this year's conference. 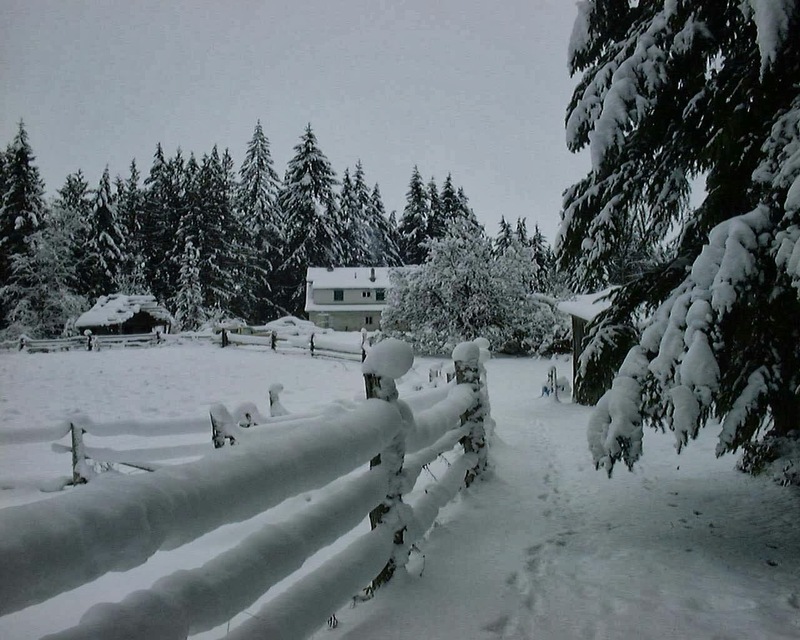 Vicki and her husband have been living off the grid in Washington State for eight years now. "We often have people say to us, 'I'd really like to live off the grid,'" Vicki recalls. "I suspect that a lot of those people are as ignorant as I was about just what it means to live off the grid. I would encourage anyone to connect with someone who lives or has lived off the grid, ask a lot of questions, spend some time on their property if possible, and really think about what it means. There is a lot to consider beyond just do you have any electricity or not." But if you don't know anyone who lives off-grid, you can come to this year's conference and get to know Vicki. 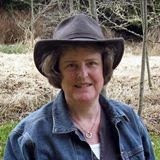 She will be presenting four sessions: water-bath canning, pressure canning, raising poultry, and living off-grid. Both water bath and pressure canning play a big role in the Millers living off the grid. "Since I bought my first pressure canner, canning has been a year-round activity for me," says Victoria. "Being able to safely preserve low-acid foods like meat and vegetables greatly expands your food-preservation skills." In her session on pressure canning, she will discuss equipment, safety, basic principles of pressure canning, and pros and cons of canning vs. freezing food. "I first learned to can when I was in 9th grade," Vicki explains. "Our school required Home Economics for girls in 9th grade at the time, and one of the most useful things I learned in that class was how to can. All through high school I helped my mother can and preserve all kinds of foods, mostly grown in our home garden. I had never used a pressure canner, though, until we bought one about 10 years ago, a couple of years before we moved to the farm. So I had to learn that on my own, but the many years' experience with water-bath canning helped a lot. Since we have such limited freezer space here, canning is an absolute must for me." The Millers also raise poultry on their homestead. "We had discussed raising animals as part of our plan to produce a fair amount of our food, and we started with chickens," says Vicki. 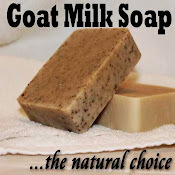 "Our idea at the time was to raise enough to provide us with eggs and meat and maybe some extra for friends and family. What a slippery slope!" In addition to producing enough chicken and duck eggs for themselves, now they also sell eggs. "We've been selling our organic duck and chicken eggs to a local restaurant for 6 years now. We had taken a sustainable agriculture class back in 2008, put on by the local County Extension office. At the same time we had become friends with the young couple who own the restaurant in town, and once they tasted our eggs, they asked if they could buy them from us. We found out that in Washington, you have to have an Egg Dealer's License to sell eggs wholesale. We had the license within a few weeks. In the spring, when our egg production is the highest, we sell our extra eggs at four retail stores in the area." 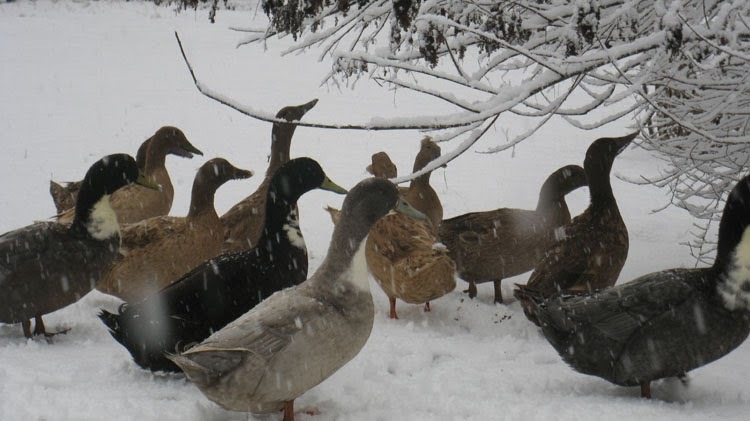 Based on her experience, Vicki wrote Pure Poultry: Living Well with Heritage Chickens, Turkeys and Ducks . And yes, that picture on the cover of her book is a bantam cochin hen raising turkey poults! Because they are off-grid, they don't use electric incubators or brooders, which means they get very creative in their poultry raising methods.